With Technology becoming obsolete just as fast as it is developed, tech companies move at the speed of light. Other than the demand for said technology, one of the only things that is just as fast is the rate at which tech & gadget specs are leaked. Today we bring you a new leak, as information regarding Google’s upcoming “Pixel 3 XL” Phone is let loose. With the Pixel 3 XL just a few months out from release, final production of the device is nearing. Earlier today Android Police reported on a series of photos and videos. These leaks were shared to a Telegram channel, by the way of a Ukranian tech blogger. The blogger did not disclose where he got the device. He did make sure to state that this was a “pre-release version” of the Pixel 3 XL. We also are treated to a pair of headphones which appear to be USB-C wired pixel buds. There is a video which can be viewed here, that includes the unboxing of the device as well. For more information, be sure to check out Android Police here. 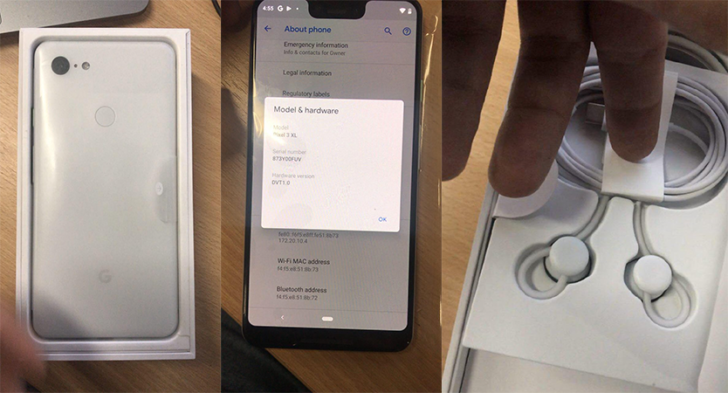 The post Google’s Production Pixel 3XL Leaked appeared first on EDMTunes.